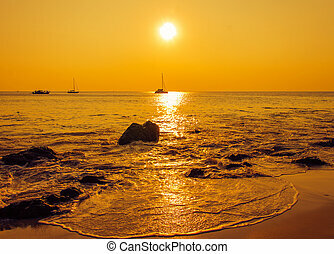 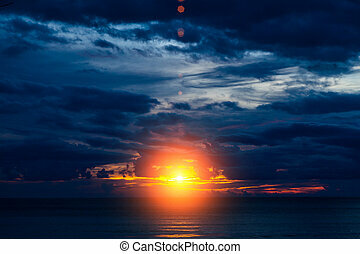 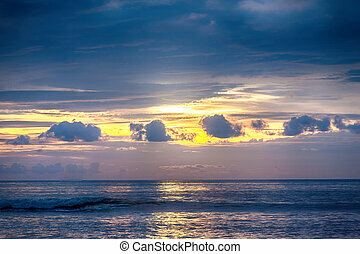 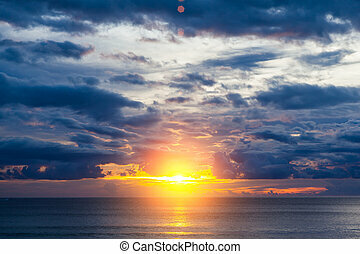 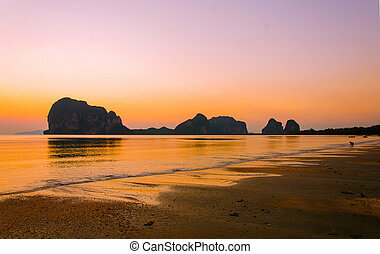 Sunset on the tropical beach in thailand. 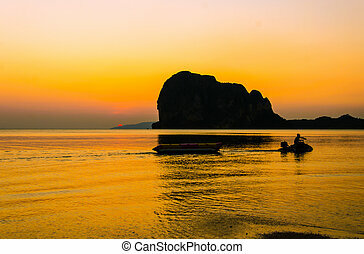 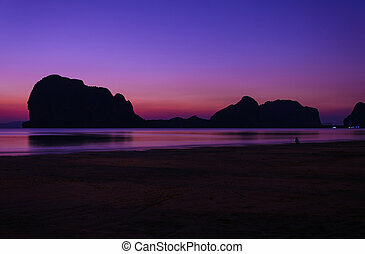 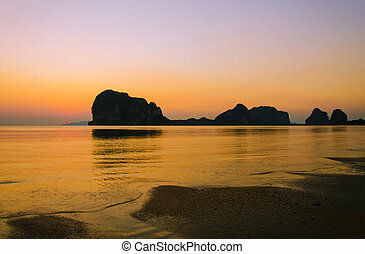 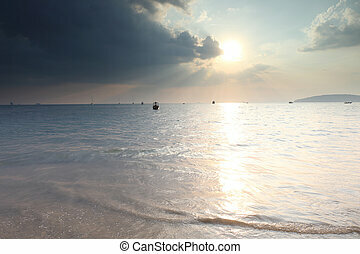 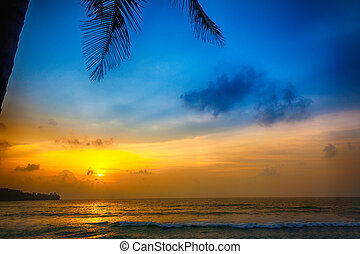 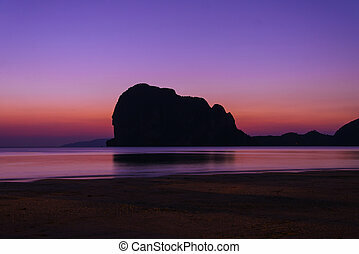 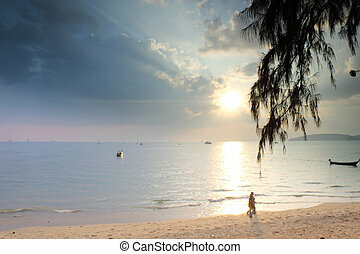 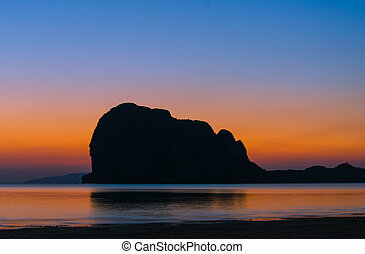 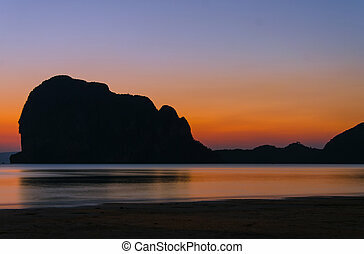 sunset on the Tropical beach, krabi Thailand. 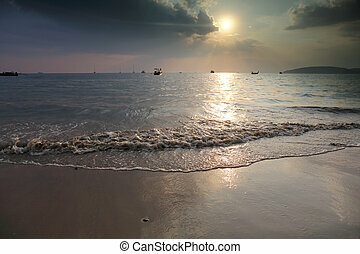 Wave on Tropical beach in pattaya Thailand. 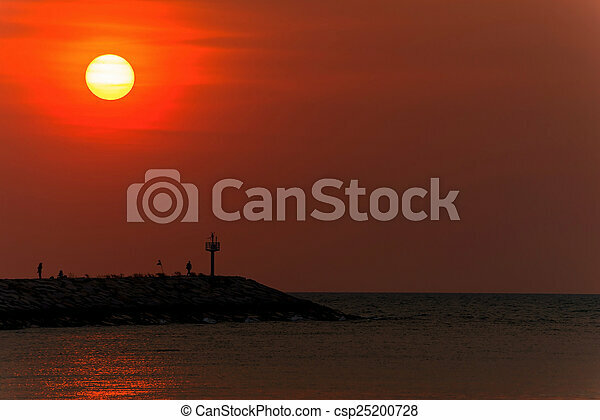 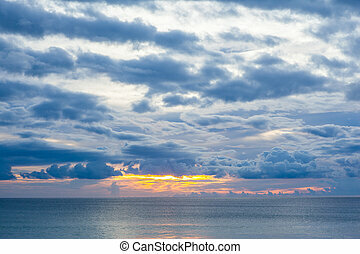 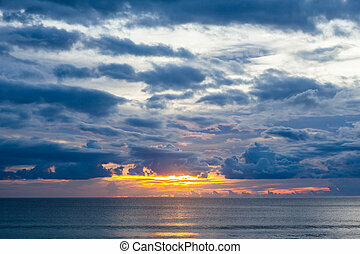 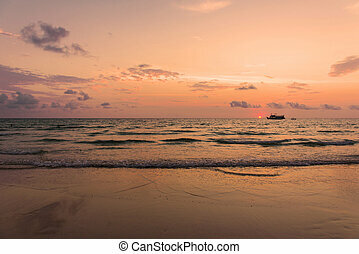 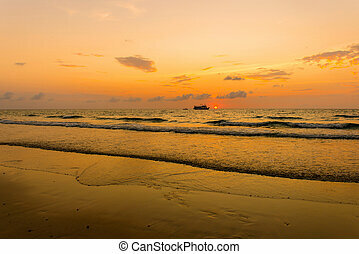 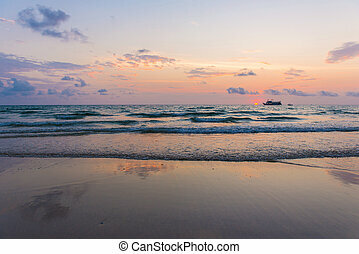 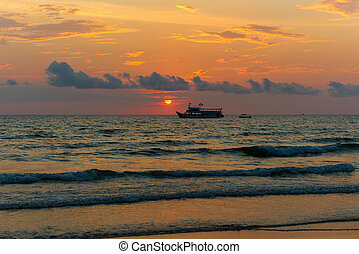 sunset on the Pak Meng Beach, Trang Thailand. 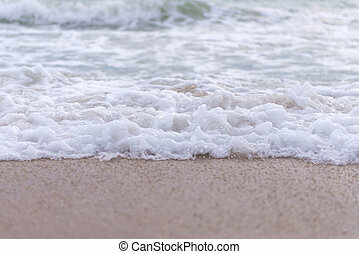 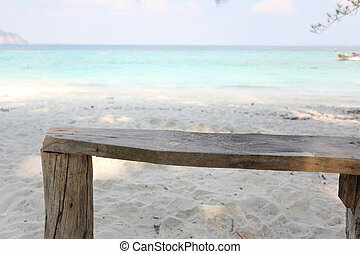 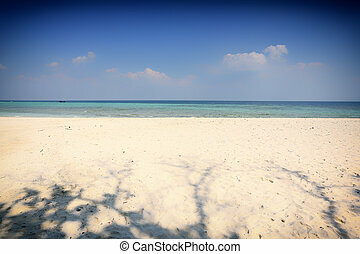 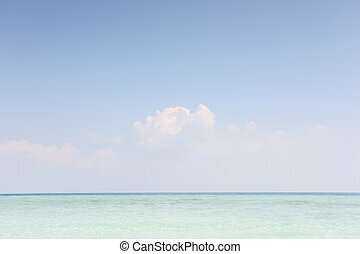 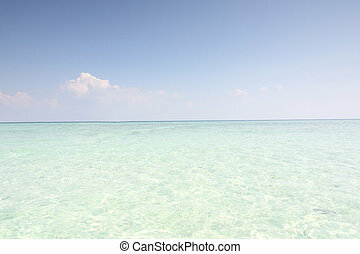 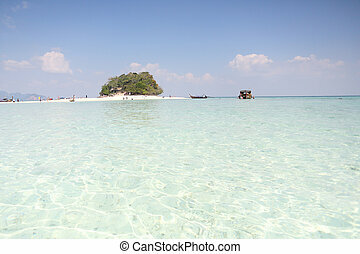 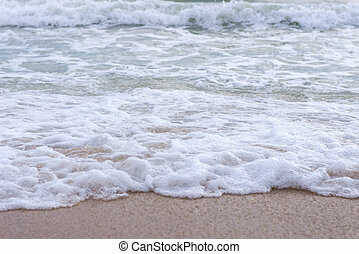 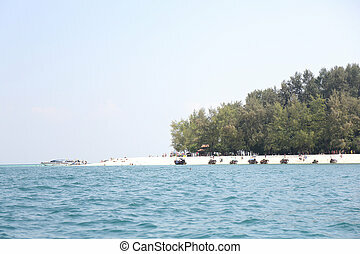 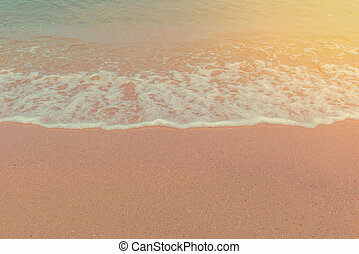 wave of sea on Tropical beach in Andaman Thailand.